"Great game. Mythgardia will become another cult favorite." "Thank you for a great design." "I’m really thrilled. Thank you again." "A big THANK YOU to all your team." "Even my grandchildren are hooked on Mythgardia." IS THE NEW FANTASY ADVENTURE GAME FROM BOB HARRIS, CREATOR OF THE CLASSIC TALISMAN GAME. Mythgardia is supported by a range of additional material supplied through our website. Now available on our Extras page MURDER AT MYSTERY MANOR Free Game to print and play. 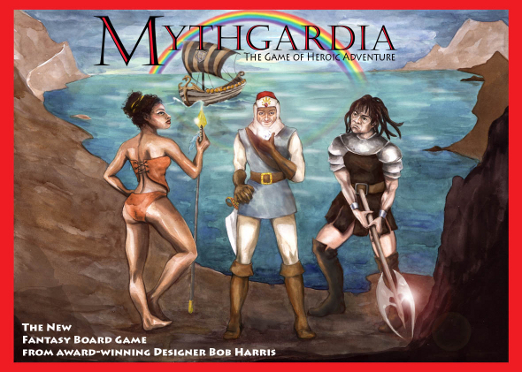 We are preparing to launch a fresh run of Mythgardia with brand new box art by talented artist Beth Ramsden. 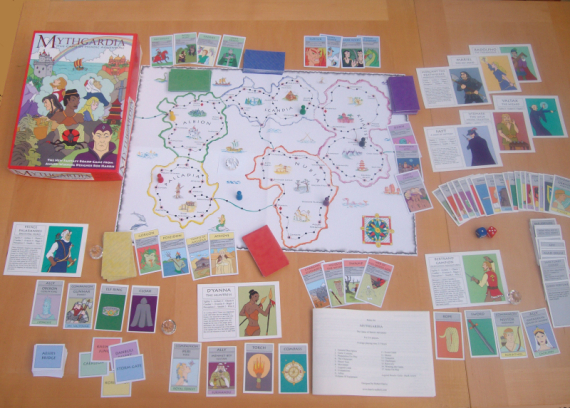 In order to procede, we need to be assured of a certain minimum number of orders, so if you are interested in purchasing a copy of Mythgardia and/or our Expansion Set, please leave us a message. We will then contact you when we are about to go to print. There will be only a limited number of copies available, as usual. If you would like to purchase a poster of our new box art, a high quality print is available from Beth Ramsden's store. How Much Fun is Mythgardia? Official review of Mythgardia at Fortress Ameritrash. Mythgardia takes you to a world made up of five Realms of myth and legend. You will travel through these magical lands in search of the priceless crystal treasures that will save or destroy the world of Mythgardia. You can purchase your copy of Mythgardia using the secure PayPal Buttons on our SHOP page.